Complex organisations in the petrol market maintain control of their various sales locations, customers and suppliers with the powerful FuelOffice back office system. FuelOffice Enterprise is an integrated back office system for oil companies, complex organisations with multiple legal entities, businesses, warehouses, flow of goodss and personnel administration. The system is an extension of FuelOffice Retail, used by petrol businesses with less complex structures. With FuelOffice Enterprise you can organise a cluster of petrol stations in various ways in order to manage its financial and logistical aspects. Whether this is done using a centralised or decentralised structure depends on the owners of the cluster (COCO, CODO or DODO). FuelOffice Entertprise brings all the relationships and transactions in the petrol market into one, convenient software package: from customer to supplier, from cashier to financial director, from petrol card to personalised offers. You decide, in the system, how the organisational, logistical and financial flows between the various offices and legal persons within your cluster will take place. 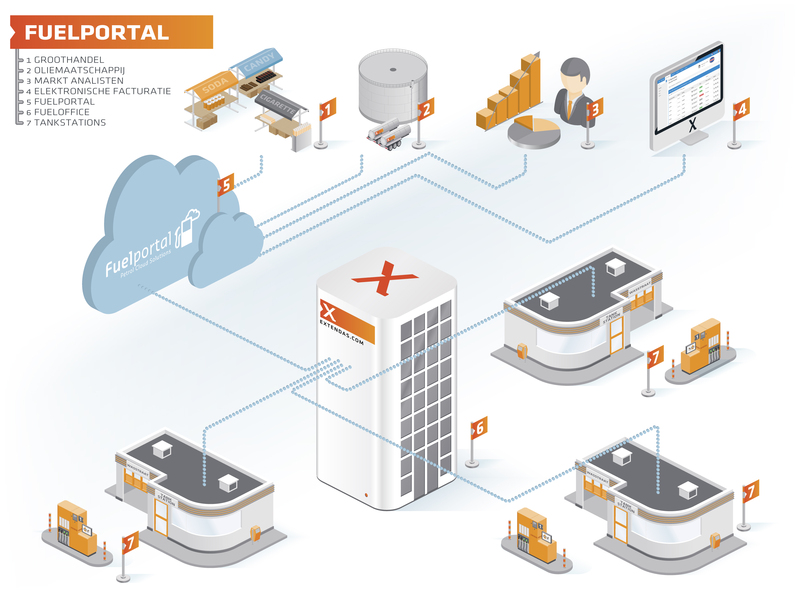 This value chain integration reduces your administrative burden significantly. Use it to increase margins, reduce inventory and improve staff utilisation. It is also enables you to increase customer loyalty. 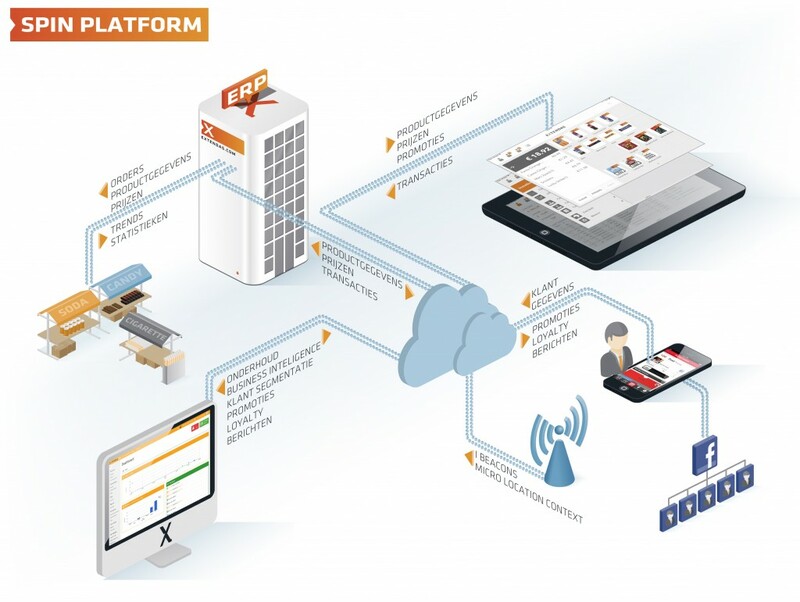 The modules can also be expanded using the FuelPortal cloud platform. This externally hosted software layer simplifies the many links between FuelOffice and third parties such as the wholesale trade, oil company, trade association and benchmark agencies. It optimises data security and solves any local connection problems. FuelPortal also offers an online customer login designed to reflect the look & feel of your organisation. Petrol card holders can use it, for instance, to view their e-invoices. The innovative SPIN Loyalty programme also integrates seamlessly with FuelOffice Enterprise. SPIN stands for Social Petrol INtelligence and is the link between you and the customer. It provides a valuable link between customer app, checkout POS and the back end system. Your client receives personalised offers based on purchase history and physical location which are redeemable in the forecourt shop. The app can even connect with social media, like Facebook – with, of course, the customer’s consent. FuelOffice is an innovative and versatile package for enterprise resource planning (ERP). It has been developed by Extendas, using state-of-the-art technology. The package runs on Microsoft Windows and Microsoft SQL Server databases. Extendas offers FuelOffice Oil especially for oil dealers without their own filling station(s). 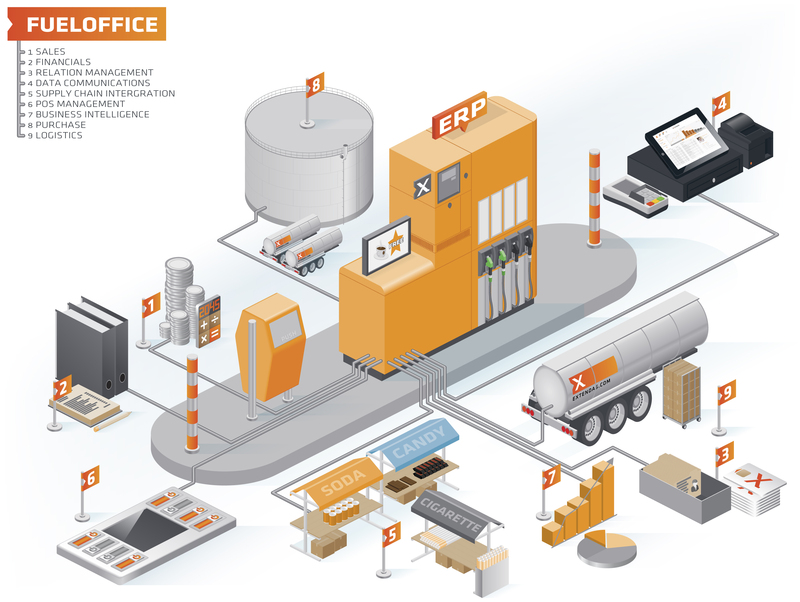 This variant of the ERP system includes functions of specific interest to this market segment: tanker administration, route scheduling, integration with on-board computers, excise goods location and rental and packaging administration.